This was never going to be an objective comparison. The Jaguar I-Pace is the first serious threat to the Tesla Model X, so comparisons were inevitable. 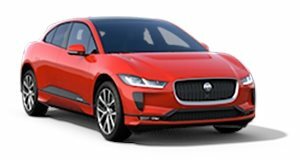 What we didn’t expect to see, however, was a comparison test between the two EVs organized by Jaguar—because that wouldn’t be biased at all. On the day , the British luxury automaker uploaded a video showing it conducting a drag race between its new EV and the Model X. The two all-electric SUVs were put head-to-head at the Autodromo Hermanos Rodriguez ePrix circuit in Mexico City ahead of this weekend’s Formula E race. Behind the wheel of the I-Pace was Panasonic Jaguar Racing’s Mitch Evans, while the Model X was driven by former IndyCar champion Tony Kanaan. The objective was simple: which electric SUV can accelerate from 0-60 mph and brake to a stop in the shortest distance? It’s an unusual comparison in a number of ways. Firstly, both cars might be electric SUVs, but they’re in completely different classes. 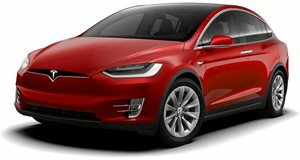 The Jaguar I-Pace is a small crossover, whereas the Tesla Model X is a much larger SUV. A comparison between a similarly-sized gasoline SUV would have perhaps been a more fitting test. The I-Pace is also lighter than its competitor, so it beats the Model X in that regard. In the first drag race, the I-Pace, which Jaguar claims has a 0-62 mph time of 4.5 seconds, was pitted against a Model X 75D, which does the same sprint in 4.7 seconds. Predictably, the Jaguar won. Then the comparisons got interesting. Kanaan suggested using a more powerful P100D. Most enthusiasts know the P100D can accelerate from 0-62 mph in 2.9 seconds and would therefore destroy the I-Pace in a drag race. But what does Jaguar do? They bring out a Tesla 100D—sans P—in the hope viewers would be none the wiser. Once again, the Jaguar beat the Tesla SUV, making it look like the I-Pace is faster than Tesla’s range-topping Model X in a drag race. Hopefully we’ll see some more accurate independent comparisons soon. Until then, we're left with a lopsided comparison test and the cringeworthy scripted dialogue of two racing drivers.